Remember how much fun the World Cup was this summer? Unfortunately for Twitter, there isn't a global soccer football tournament every quarter. Shares of Twitter (TWTR) plunged 10% Tuesday after the company reported sluggish user growth. It also said that sales for the fourth quarter may be a bit below forecasts, the Wall Street equivalent of missing a penalty kick. Twitter simply isn't growing its user base enough. It finished the third quarter with 284 million monthly active users, a gain of less than 5% from the second quarter. Compare that to the second quarter when Twitter reported a more than 6.3% jump in active users thanks in large part to its popular "hashflags" promoting the World Cup. Slowing growth is never viewed well by momentum investors. And Twitter's stock had become a favorite plaything of day traders lately. The stock soared 20% the day after it reported its second quarter results in late July. Shares had gained even more ground since then -- despite the massive market volatility of September and October. Twitter is no Jack Kennedy of social media. Expectations were high. Twitter bulls believed the worst was over. They were wrong. The stock is now down 32% year-to-date. It's once again the worst performer in CNNMoney's Tech 30 index, moving ahead (or is it behind?) of mobile chip company ARM Holdings (ARMH) and Amazon (AMZN). Twitter, unfairly or not, it is always going to be compared to another much larger social network. To paraphrase the late Lloyd Bentsen in that famous 1988 vice presidential debate with Dan Quayle, Twitter is no Facebook. Related: Can Facebook live up to the hype? Twitter has less than a quarter of the users that Facebook (FB) has. In the world of advertising, scale is everything. Facebook and search leader Google (GOOGL) dominate the online ad market because they are the biggest in their respective segments. While Facebook is an every day necessity for many, Twitter seems more like a social media outlet that's really only vital to those who need second-by-second accounts of what's happening as it happens. Facebook is the 21st century newspaper or local TV news. It's what people increasingly trust and rely on for information every day. Twitter is the 21st century newswire service ... or the social media equivalent of Statler and Waldorf from "The Muppet Show" gleefully mocking everything in real time. That's great if you are glued to your phone while watching a live sporting event or award show. But have you ever tried to follow an account of something on Twitter hours (forget about days or weeks) after it's taken place? Strong sales growth is not enough. Where are the profits? Yes, Twitter's revenue growth is impressive. Sales more than doubled in the third quarter. But that hasn't translated into sustainable profitability. 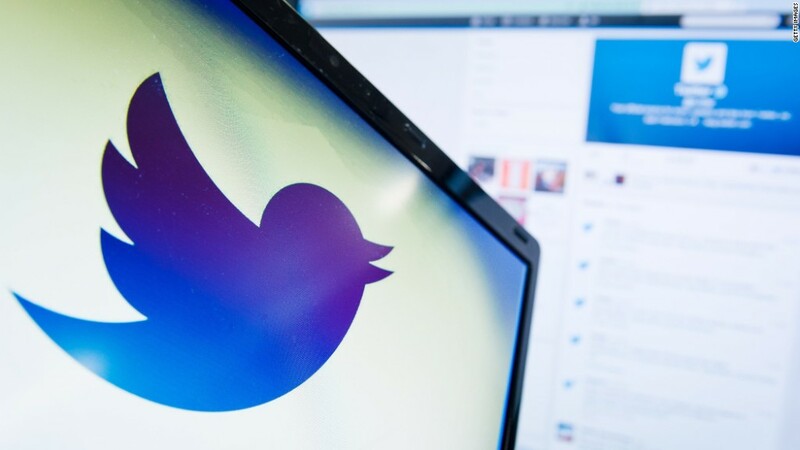 Twitter reported a net loss of $175.5 million in the third quarter. 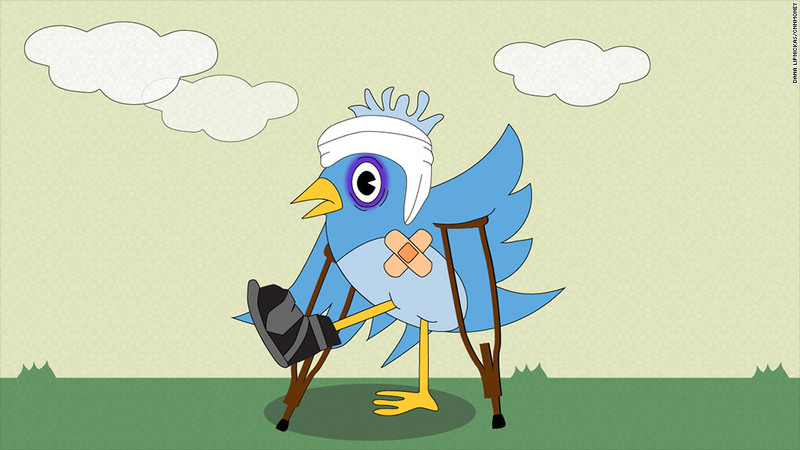 The little blue bird has seen better days. It looks like he was mauled by the fail whale. Analysts often overlook some one-time events though. But even when you back those out, Twitter still had a profit of just $7 million, or a penny per share. When Facebook reports its latest results after the closing bell Tuesday, analysts expect it to post a profit (before one-time events) of $824 million. For the full year, Wall Street is forecasting earnings of $3.3 billion this year and $4.6 billion in 2015 at Facebook. 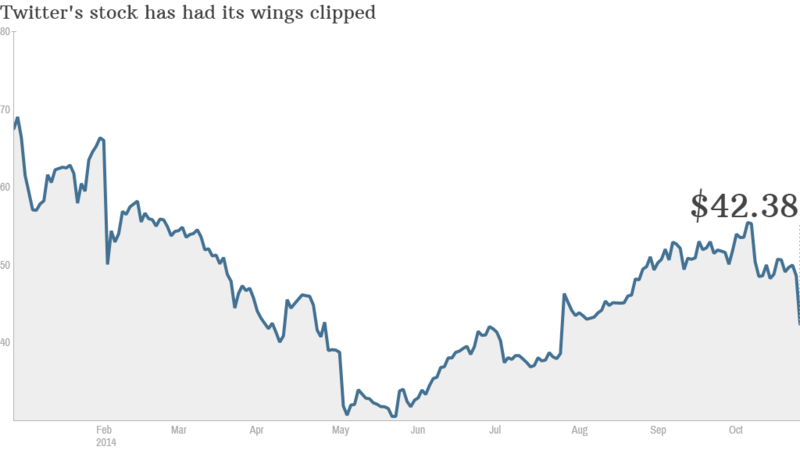 Twitter is expected to lose money (before one-time charges and gains) this year, next year and in 2016. Make no mistake. I love Twitter as a service. Perhaps too much. But it's more #niche than #mainstream. And until Twitter can make the jump from former to latter, it's going to remain a social media also-ran to Facebook in users, earnings and market value.